No I’m not deciding to become a professional chef but I did decide to read like one. I went to Borders the other day and bought The Professional Chef. It’s the ultimate cookbook and it’s from the Culinary Institute of America! There are so many recipes to try, I can’t wait. 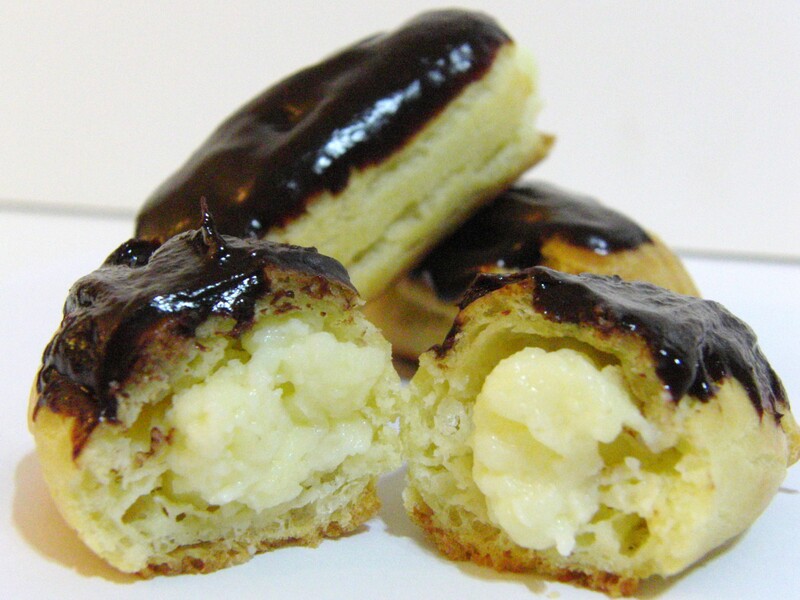 I have just finished making eclairs. Mmmhh they are so delicious. I piped some pastry cream into them and made some ganache to spread on top.Here’s the full directions for them.